The condition of the tires on your vehicle can have a serious effect on the quality of your driving experience, including your gas mileage. What’s more, your safety is also at stake when it comes to your tires. You can avoid many of the unexpected mishaps with your tires, including frightening and hazardous blowouts, by routinely checking your tires for signs of wear and deterioration. We recommend inspecting your tires on a monthly basis, or during every other fill up at the gas pump, to ensure the maintenance of the proper air pressure levels and to check for signs of more serious issues that call for a professional tire inspection. Our expert tire repair technicians in our Tempe car repair shop can inspect your car’s tires and make the proper recommendations for the right tire service to keep you rolling safely and smoothly for miles to come. We sell the tires Tempe drivers rely on, tires Phoenix drivers trust and tires Chandler drivers swear by. 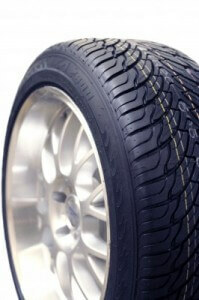 Ask us for details about our tire warranties on the different brands we carry.